With Readly you can read Legends Of The Ryder Cup and thousands of other magazines on your tablet and smartphone. Get access to all with just one subscription. New releases and back issues – all included. Capture the magic of the Ryder Cup in this fantastic guide to golf’s greatest tournament. Relive the iconic matches, with in-depth guides to every Ryder Cup since 1979, as the battle between Europe and the USA reached new heights. Including biographies of some of the Ryder Cup’s most influential players and captains – from Faldo and Watson to Ballesteros and Mickelson – this is the perfect book for any golf fan. 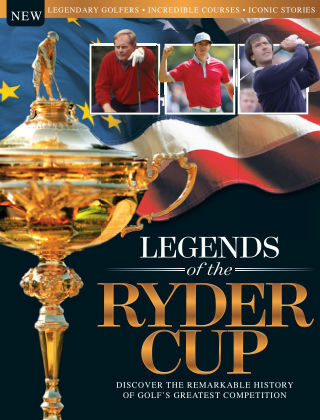 Featuring: History of the Ryder Cup - Discover the origins of the biggest tournament in golf. Ryder Cup legends - Biographies on the heroes of the Cup, from Langer and Faldo to Poulter and Watson. Iconic matches - From last gasp winners to resounding demolitions, relive the classic Ryder Cup moments. Every Ryder Cup of the modern age - See how Europe and Team USA match up.